Gen Z, comprised of those born between 1997 and 2012, is starting to enter the workforce—and is strikingly different from previous generations, including Millennials. Gen Z has seen first-hand the impact of student loan debt, witnessed the #MeToo movement and marched for their beliefs. So, what makes this new generation tick? 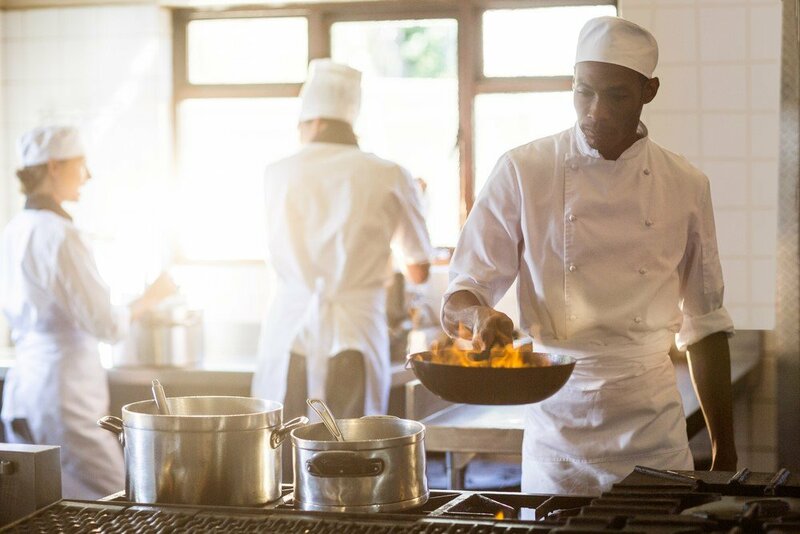 An incredible 82 percent of Gen Z got their first paid work experience in a restaurant, and that experience is overwhelmingly positive, with Gen Z workers found satisfied with their restaurant work experience by a 64% to 20% margin. And over one-third of them aspire to stay and become restaurant owners, managers, and operators. Gen Z makes clear that restaurants teach the practical, transferable skills required for success in our rapidly evolving workforce: flexibility, teamwork, multi-tasking, dependability, industriousness, customer service, and more. Mentorship is a high priority for Gen Z. Over 40 percent stated mentors are essential to giving them confidence and professional skills necessary to advance their careers. Our survey showed that 59 percent who have had a mentor were in more senior positions compared to 30 percent of those who have not had a mentor. Gen Z has a strong desire to be part of an active, creative, collaborative and flexible work environment. The top cultural traits found to be important for a Gen Zer’s ideal job include recognition, flexibility and a team atmosphere. And Gen Z is ambitious, with over half saying they expect to make more money in the first three months and receive a promotion within the first year. Gen Z wants to be part of a restaurant or business that has high ethics, appreciates diversity, and a positive reputation in the community. Respondents also clearly expect a safe work environment where everyone is respected and treated fairly. Good old fashioned word of mouth from family and friends is still highly effective in determining where Gen Z applies to work, with social media being an additional important resource. With so many jobs to choose from and companies aggressively recruiting Gen Z, they also expect an application process that is seamless, easy and positive. Restaurants offer a broad range of opportunities to young people from all backgrounds – everything from starting a first job to building a successful career. The sky is the limit for Gen Z in restaurants and, as an industry that is rapidly growing and simply cannot be exported, for many generations to come. For the white paper and the infographic on the Gen Z survey, please visit ChooseRestaurants.org/GenZ. BIO: Rob Gifford is Executive Vice President of the National Restaurant Association Educational Foundation (NRAEF). As the philanthropic foundation of the National Restaurant Association, the NRAEF is dedicated to enhancing the industry’s training and education, career opportunity and community engagement efforts. The Foundation and its portfolio of programs work to Attract, Empower and Advance today’s and tomorrow’s restaurant and foodservice industry workforce. Learn more about the Foundation and its work at ChooseRestaurants.org. Gifford’s career spans more than 25 years of advocacy and public policy experience. Before joining the National Restaurant Association and the NRAEF, Gifford served as the President and CEO of the Michigan Restaurant Association (MRA). During his tenure, MRA was voted one of the five most effective association lobbying organizations in Michigan, and Gifford was presented with the MRA’s Vision and Leadership Award. Gifford began his career working in the United States Senate, where he served for seven years on the staff of Senator Robert W. Kasten (R-Wi).